Since losing the general and presidential elections held in 2007 to the opposition APC party, the Sierra Leone Peoples’ Party (SLPP) continues to stumble, as it struggles to be at peace with itself. The continuing acrimony surrounding the struggle for the leadership of the party – in the Houses of Parliament, the chairmanship, and the candidacy for presidential election that is not due until 2017, is tearing the party apart. Despite attempts by senior party grandees to bring all sides to the table to sort out their differences, it seems the forces dividing the party are far greater than those trying to unite it. Last week’s shocking decision by senior executive committee officials of the party to disrobe both the party chairman – Chief Somano Kapen, and the secretary-general – Sulaiman Banja Tejan-Sie, live on national radio, is the most destructive and self-inflicted damage yet. Successive High Court and Supreme Court cases have failed to engender the peace and harmony, so desperately needed by the rank and file members of the party. 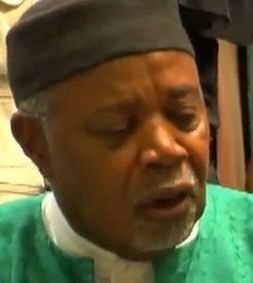 Can the SLPP party continue to survive this kamikaze onslaught? 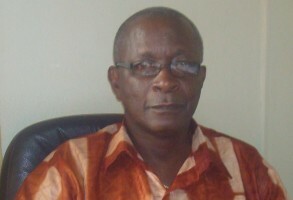 Following the conclusion of the 2012 general and presidential elections, which saw the party recording one of the worst election defeats since the end of the war in 2001, a splinter group known as the Movement for the Transformation of SLPP (MTS) was formed and led by Andrew Keili – one of the party’s presidential flagbearer contestants. Members of the group say that their aim is to transform the SLPP into a ‘viable political party’, prompting critics to ask whether the suggestion is that the SLPP is no longer a viable political party. (Photo: Kieli). With the increasing infighting and self-destruction, it is difficult to see how the party can regain its true spirit enshrined in its motto: ‘One Country – One People’. 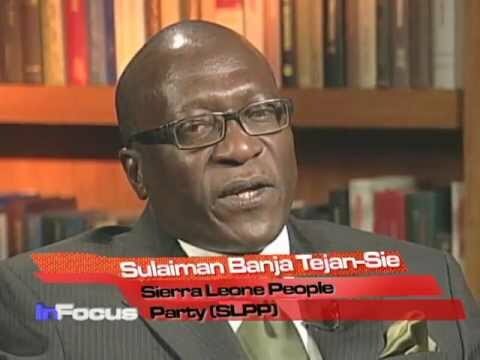 “The Movement for the Transformation of SLPP (MTS) was formed in November 2012 and launched in March 2013 with the objective of transforming the Sierra Leone Peoples Party (SLPP) into a viable political party that is prepared to take the mantle of power in Sierra Leone come 2017 General Election. “Since the loss of two consecutive elections in 2007 and 2012, the SLPP has been beset with a series of problems, resulting in the fragmentation of the Party into flagbearer oriented groups and the defection of key Party members to the APC. “The situation has now become so serious that our position as a viable and credible alternative to APC is now seriously compromised. “The recent suspension of the Chairman and Leader of the Party (Chief Somano Kapen) and the National Secretary General (Mr. Sulaiman Tejan Sie), instigated by the four regional Chairmen, a group of National Officials and a so-called ‘Grassroots’ group within the party and reflected in support of the action in various interviews in the print and electronic media by the Deputy Chairman, Dr Prince Harding and the National Publicity Secretary, Hon. Musa Tamba Sam, is a blatant violation of the SLPP constitution. MTS considers this illegal act completely unacceptable and unequivocally condemns it. “Furthermore MTS categorically condemns the use of violence and intimidation as a means of achieving the objectives of any group within the party. All elected members of the Party should be allowed unhindered access to all SLPP offices without fear of intimidation. “MTS will commission a fact finding team with the view of investigating this problem and come up with an unbiased report. This will help us start a process that will achieve sustainable peace and unity in the Party. 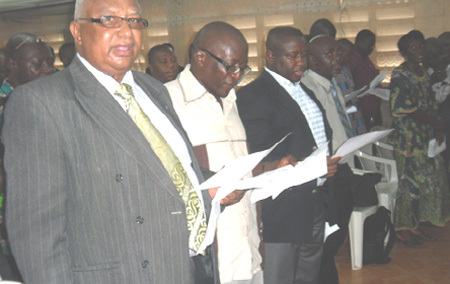 Dr Jonathan Tengbe (Central Coordinator) – On Behalf of the Movement for the Transformation of SLPP (MTS.